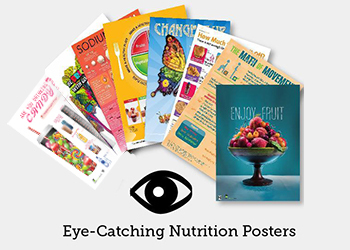 The Academy of Nutrition and Dietetics Food and Nutrition Conference and Exhibition (FNCE) draws over 10,000 attendees every year. This year's conference is in Philadephia, PA, and I am covering the food exhibition. It's so exciting! 1. Hershey's chocolate education display was my favorite educational display. The photo below is from their booth and captures the demonstration of the differences between chocolates. The chocolates are (from left to right) white chocolate, milk chocolate, and dark chocolate. Note the differences in cocoa powder and cocoa butter content. The picture below takes a look at chocolate at each step of the chocolate-making process, from harvesting the bean to fermentation to pressing! And here is the humble cacao bean and one of its seeds. Hershey has created a new chocolate treat called Simple Pleasures. These chocolates contain 30% less fat than other chocolate products. However, that isn't a reason to chow down -- they're still 180 calories per (6 piece) serving! Sharffen Berger chocolate, on the other hand, is 70% cocoa solids. 2. The Strawberry Board's display was gorgeous and included real fruit! 3. Chobani Greek-Style Yogurt featured a cafe theme for their booth. They offered great samples of new pear and banana flavored yogurt. I snapped a picture -- check it out! 4. Frito Lay's display offered insight into their "simple ingredients" message by showing that potato chips are potatoes with oil and salt. 5. 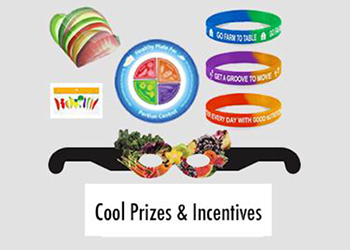 The Walnut Board offered great freebies that were presented in a very creative manner. The hand, pictured below, highlighted the importance of portion control, yet still managed to promote walnuts. 6. General Mills had a great platform for guest speakers. 7. Kellogg's had the cutest breakfast truck and even included a service window with free samples! 8. The Mushroom Board made a truly beautiful basket. 9. Okay, this one is about the mushroom board too. In addition to their gorgeous basket, they also offered samples of their delicious Swedish meatballs. These meatballs were made from 50% turkey and 50% mushrooms. The mushrooms added tons of flavor and moisture, which made these meatballs a tasty treat. Want to try one for yourself? The recipe is featured in the new cookbook, 1,000 Low-Calorie Recipes. 10. I was very fond of this gift from the Honey Board. 11. Nasco's food models always impress. 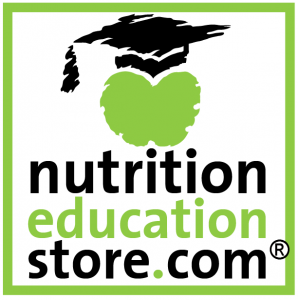 We also love them because they carry some of our very own nutrition education products. 12. The American Beverage Companies had this display, which highlighted current calorie issues. 13. The Academy of Nutrition and Dietetics made everyone a star with their professional photo booth! 14. The Almond Board had a make-your-own-trail mix center! 15. And who would pass the Pork Council's booth without smiling at the raffle box? 16. Nestle had put together a home-style booth filled with pantry jars of food. 17. 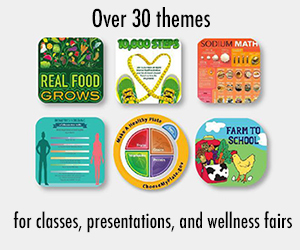 USDA's MyPlate offered a lot of new resources, including the inimitable Supertracker. 18. Walmart was not new, but as a vendor they were new to FNCE. Many people hadn't realized that Walmart is a great source for groceries. 19. There were many companies who wanted us to remember them. Some of our favorite messages included "chicken is still the best," "lentils have simple ideas for simple nutrition," "peanuts provide energy for a good life," "fresh berries rock," "high fructose is the same as sugar," and "dry beans are the heart of healthy food." 20. Laughing Cow offered portion-controlled light cheese in individual packets. 21. Zevia is a 0 calorie soda that is sweetened with Stevia. 22. There was a long line for ZeroGH gluten-free bars. 23. We were sure not to miss Domino's Lighter Sugar and Stevia blend! 24. Cabot's Cheese is reduced fat, and their new packaging offers better explanations that are easier to understand quickly. 25. Sunsweet rolled out D'Noir, a preservative-free brand for dried plum juice and prunes. 26. Plus, Plum Amazins are tasty bits of prunes that you could use like raisins. 27. Check out the Berry Bible from Oregon's Berry board. I totally laughed out loud at the photo of the kid with the berry face! 28. Pompeii has a three-oil blend olive oil that offers more omega-3s and a higher smoke point. They also displayed a helpful Mediterranean Pyramid, which is a great resource for dietitian shopping tour education. 29. Frescada, developed by Monsanto, is a lettuce that is a cross between romaine and iceberg. It looks like romaine but has a crunchy texture and mild flavor... just like iceberg. 30. Nectresse is the new monk fruit extract sweetener by Splenda. Now they can actually say that it is a natural sugar substitute. I tasted it and found it to be very light and, better yet, there was NO aftertaste. Monk fruit is used as a sweetener in many products including Kashi. Read more here. 31. Silk just launched almond and coconut milks, plus a fruit smoothie drink! The Silk Coconut Milk has 5 grams of saturated fat per cup, and while that is pretty high, it's not nearly as high as some other canned coconut milk varieties. Some contain almost triple that amount per cup! (Did that information pique your interest? There's more info here). 32. Amy's featured new burgers and frozen pasta entrees. They all taste very good, though the products are a little higher in sodium than I would prefer. The veggie burger is probably the lowest in sodium -- it contains only 310 mg per patty. Most veggie burgers contain over 500 mg of sodium per patty. 33. Ovaltine has a new flavor and package. 34. Welch's presented new natural fruit spreads. 35. Welch's also just launched a new white light, otherwise known as a white grape juice that is lower in calories. 36. Hershey shared new fruit-flavored chocolates. 37. Truvia has a new baking blend. Use 1/2 cup Truvia Blend in place of 1 cup of sugar in recipes. 38. Unilever is working on lowering the sodium in their products. Check out their Light Ragu! 39. Healthy Choice offered a "baked" flavor in new microwave and shelf stable meals. 40. We learned tons of fun facts about popcorn. 42. Barbara Roll, PhD, RD is working on new studies. I am sure you have heard of her work with calorie density. Her new book, The Ultimate Volumetrics, was just published! 43. Subway is working on reducing calories. Six meals have even earned a heart check. 44. Keurig featured antioxidant-rich green tea. They call it "Wellness Brewed." 45. McDonald's is redoing their website. Now they offer a list of choices by calorie. Plus, they are including healthful options like oatmeal! 46. Paul Prudhomme presented salt free seasonings! 47. The Tortilla Factory had amazing low-calorie, low-sodium wraps. 48. Did you know that there is a new iCookbook Diabetic App? It's coming soon! 49. Sargento has thinly sliced cheeses that will be out any day now. Today's tasting session featured their reduced-fat cheese. 50. 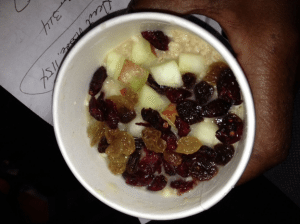 Quaker's new cup-to-go oatmeal is called "Real Medleys." 51. Smart Balance Butter spread has added omega-3s! 52. Vitalicious pizza is low in fat... for a frozen pizza. 53. Goldfish crackers now come as graham cracker cookies! 54. Gluten-free seems to be the hottest trend in the food world right now -- there were so many gluten-free foods and displays at FNCE! Want a Mediterranean perspective? Elena Paravantes-Hargitt , RD, a Greek American dietitian based in Greece wrote a lovely article in her blog about Mediterranean ingredients in the FNCE expo. Victoria Shanta Retelny, RD wrote 4 Food Lessons from FNCE in our Communicating Food for Health Library and Victoria covered the best sessions at FNCE, too. Well, that's it for now. Stay tuned for more updates from Food and Health Education! In the meantime -- want more new ideas? 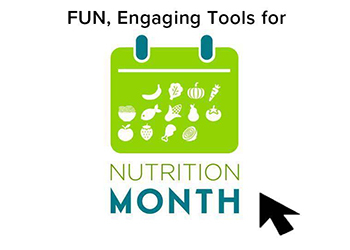 Check out our new member area --Communicating Food for Health! 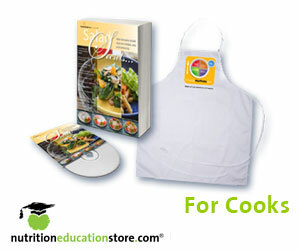 Review the new items in our Nutrition Education Store. "Wow! 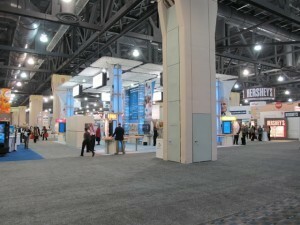 Thank you so much for 50 Things learned at FNCE- wonderful to view food products and see actual photos from the event. I thank you! Very helpful to stay informed of new food products!!!"